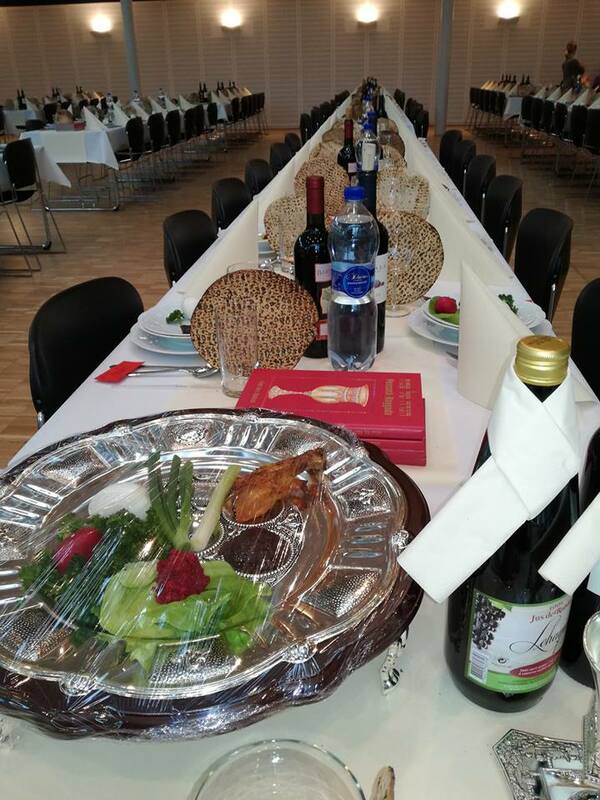 “One year I invited a couple of secular Israeli families who had been living for many years in Switzerland over for the Seder, and they were very excited about it. I had them read some sections of the Hagaddah to everyone in Hebrew, and they really appreciated it and felt like they belonged. As part of her excitement, one woman started taking pictures, and before I responded she had already put the picture on Facebook, a picture of me wearing a kittel at the Seder. It was a little awkward, but I was glad that at least they enjoyed the Seder.” This is one of the special Seder stories shared by Rabbi Noam Hertig, rabbi of the Jewish community in Zurich, Switzerland. Hertig and his wife are graduates of the Straus-Amiel Practical Rabbinics Program, part of the Ohr Torah Stone network, which trains rabbis from Israel to lead Jewish communities throughout the world. Rabbis throughout the diaspora testify to the unique connection that Jews feel specifically to Pesach – even those Jews who are very far from Judaism and the Jewish community during the rest of the year. “Surprisingly, even families who are not careful with kashrut during the rest of the year are very observant on Pesach,” says Rabbi Nir Koren, rabbi of the Quito community in Ecuador. “There is something different about this holiday, maybe something internal in the soul that knows that this holiday is their ticket back into the history of the Jewish people.” Koren and his wife, Andrea, will again be leading a Seder for hundreds of Jews living in Ecuador, as they have been doing for many years. Some of these community rabbis scramble to provide kosher-for-Passover food throughout the entire holiday, on the assumption that many are unable to do so themselves.